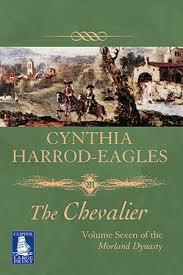 Today's quote comes from The Chevalier by Cynthia Harrod- Eagles, eighth book in the Morland Dynasty sites. Whilst I wouldn't have wanted to be the chef for this particular feaat, it does sound very impressive! Everything was done in the best of style, and the food was both lavish and elegant. Most of the servants liked and admired India, but the cook positively worshipped her, for under Clovis's direction, during Matt's minority, there had been little scope for his skills. Food at Morland Place had been plentiful, but plain and wholesome, no canvas for a great artist. This Christmas, inspired by India, he excelled himself. The centrepiece of the whole season's feasting was the colossal Twelfth-Night cake, which was three feet in diameter and decorated to be a perfect minature of Morland Place in beautiful detail, right down to the marzipan peacocks who spread their paper tails on the sugar drawbridge. 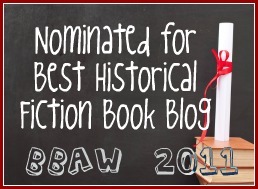 I've read almost the entire series (was lucky to pick up the whole lot at a library sale) and just loved the writing.